One of the many advantages that this shining city offers is an obscene wealth of art. There are the big-named museums that you’ve already heard of, but the nooks and crannies contain small galleries that occasionally house blockbuster shows. 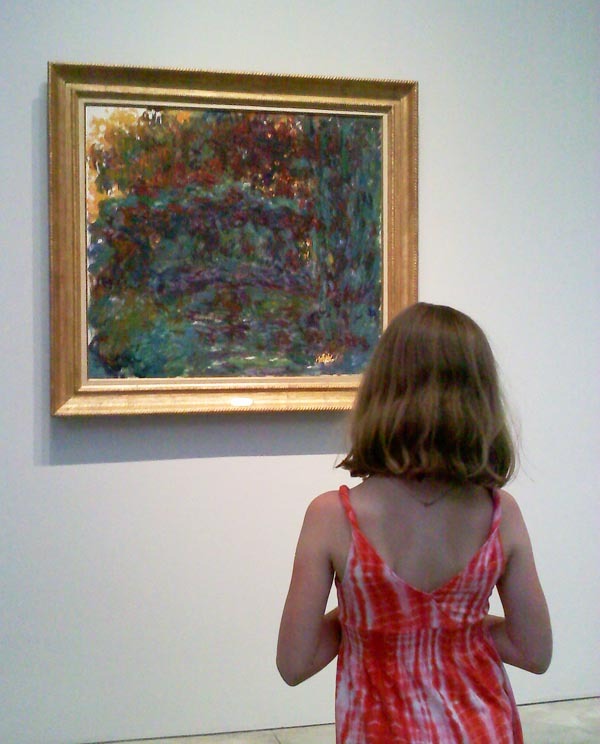 A few weeks ago I did a post about the Monet: Late Works exhibit at the Gagosian Galleries in Chelsea. It was a large showing of water lily paintings, many of which are held in private hands, so it’s not likely they’ll be seen in public again anytime soon. I was so taken aback by the show that I had to insist that CB see it, as he lives just a short walk away (which he did), and I also wanted to bring 8-Year Old Daughter into the city to see it (which I did). The show is set to close this weekend and as such, I thought it would be packed. But the blue, blue skies and warm summer temperatures caused a mass exodus from the city to the beaches, so Daughter, Artiste Florenza and I made the trek to Chelsea and the galleries were gloriously empty. We had unobstructed views of the paintings. You could stand there and really get lost in the brushstrokes without anyone walking in front of you. You’d think that that would be enough art for one afternoon but nooooo! 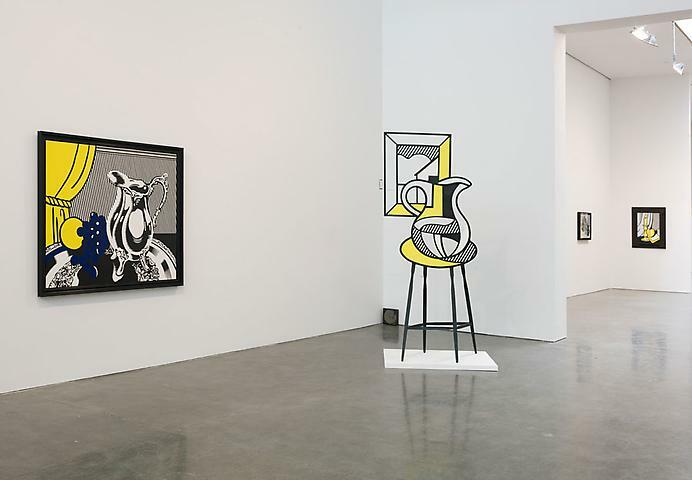 While the Monet show is getting ready to close, at the OTHER Gagosian gallery just a few blocks away, the big Roy Lichtenstein: Still Lifes show just opened. And, Sweet Jesus! What a fantastic, fun show! You don’t get to see that many still lifes from Lichtenstein, as it wasn’t really his thing. So to have such a large gathering under one big, beautiful, well-lit gallery is a rare treat. And it’s FREE! Just walk on in! There are a few fun sculptures. This brightly-colored glass with a goldfish looks like a 3D comic when viewed against the stark white background of the gallery wall. The photo is a gross injustice. I wish I could buy this one. CB, this gallery is on 24th Street, so I’m going to have to insist that you walk down the block and pay a visit. I’ll undoubtedly be going back for a second look before it closes at the end of July, so perhaps I’ll tag along. I’m not convinced that Daughter is getting anything out of these museum visits, but the time we spend together is invaluable. Several years from now, she’ll be in her You Embarrass Me/It’s All Your Fault stage, so I’m trying to capitalize on these moments while she can still stand to be in the same room with me. Just as she’s pulling away, the other one will be old enough for my New York City brain washing program. There’s no escape. Muuhahaha! Savannah: You most certainly have NOT shared that story with us! Thank you. I can only hope for such a result.MIT: There are plenty more tours where that came from. Up next: the summer sculpture on the rooftop of the Metropolitan Museum of Art.Map: C’mon down and bring KateNap with you! We’ll have Daughterpalooza. Savannah is absolutely right when she says it sticks. 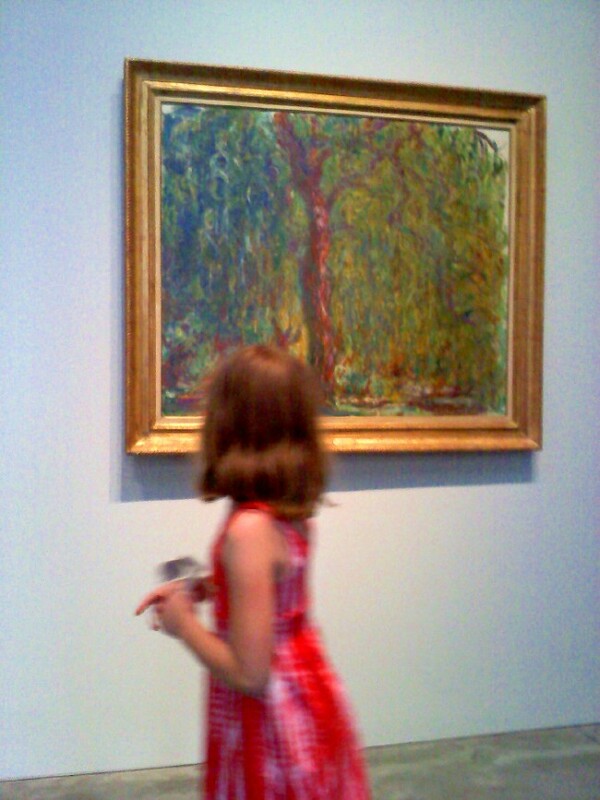 Art feeds the soul and your daughter will certainly remember the experience and later on be grateful to her Dad. When she looks back, your daughter will be thrilled that she had such an attentive father. I still remember my father taking me to the cinema to see “all dogs go to heaven”(ok, so it’s not high culture). Little thing but still stuck with me! Pat: I hope you’re right. And I don’t know about it feeding the soul. It seems to bore the hell out of a lot of people.Nutty: But that’s just my point. I don’t think it has to be high culture. It’s about the time spent. And who the hell is to judge what high culture is, anyway? NYC already has too many people who put on airs about art. I’m not going to contribute. Monet’s water lilies have always been calming to me. 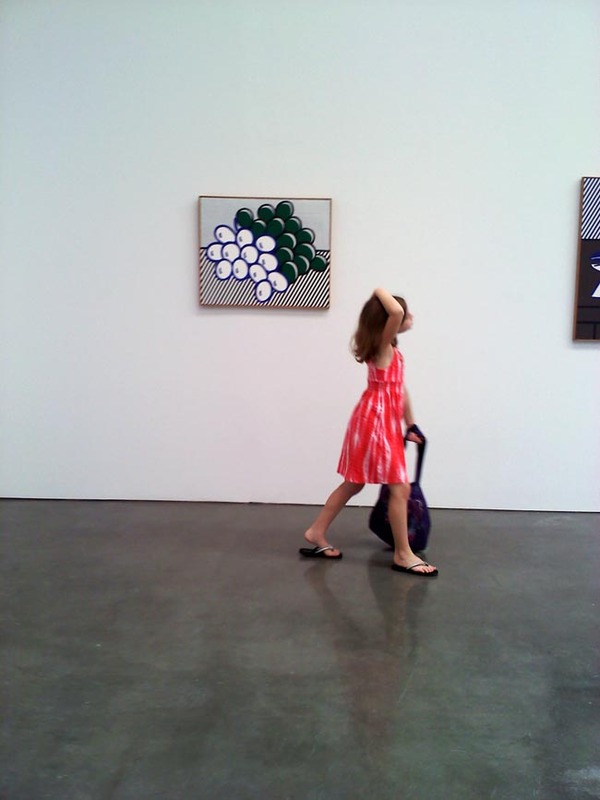 I am impressed that you are introducing your daughter to various artists and exploring galleries together. 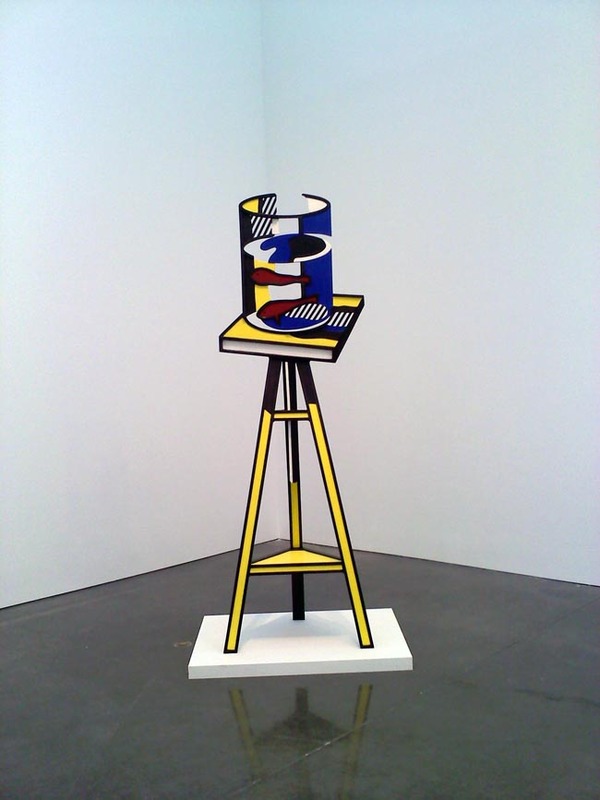 Great photos of the Lichtenstein works. Oh, I do like that Lichtenstein painting of haemorrhoids. Your daughter seems less than impressed, though. 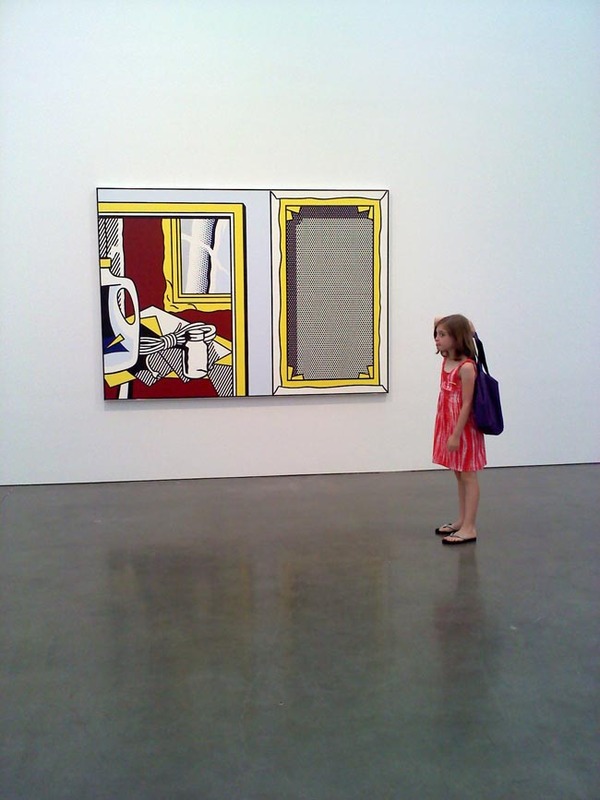 TB: Believe it or not I actually found the Lichtenstein painting a lot more satisfying than the Monets. Just the mood I was in, I suppose. Or perhaps it’s because I had seen the Monet show already.kykn: Initially, I thought they were grapes but I think you’re right.Ponita: Yikes! I remember seeing Plant of the Apes at the drive-in too! Don’t you miss drive-ins? I sure so. These damn kids don’t know what they’re missing. Not getting anything out of it? Are you kidding? Of course she is. 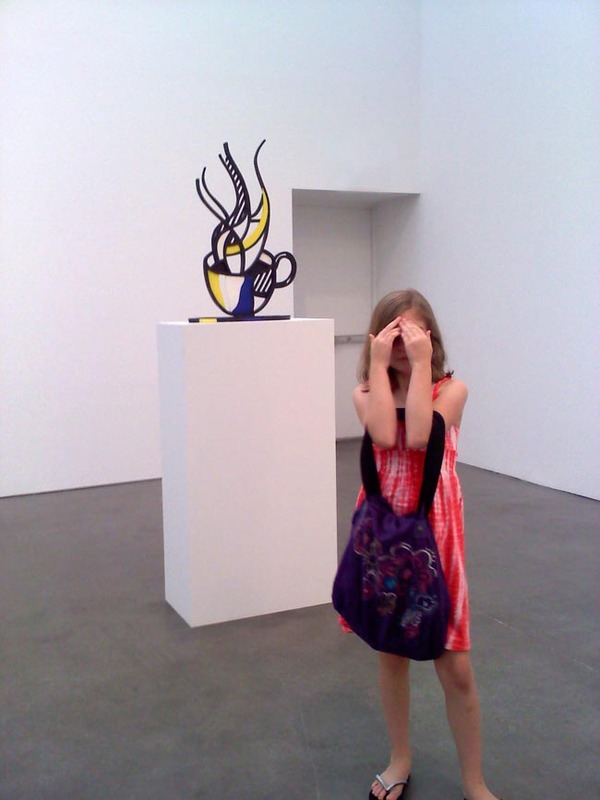 You are molding her to be an art lover. I’ll bet you that as an adult these will be some of her fondest memories.